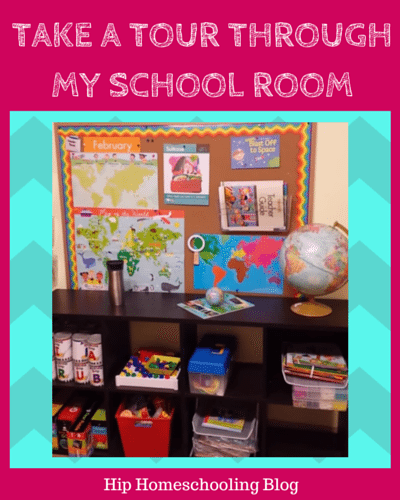 You are here: Home / Organization / A Video Home School Room Tour: Come Explore my School Room! A Video Home School Room Tour: Come Explore my School Room! My school room has very very slowly developed over the years. Our basement used to have this huge room that was half separated by a wall, but not fully. Kind of weird. The one room had carpet the other one had a terrible linoleum that was all ripped up, the wall had a ton of damage on the one side, etc. We used to do school at the kitchen table, and although I loved being able to cook and bake while the kids were working, the never ending mess of books and papers on my table quickly drove me to find another solution. Watch My Official School Room Tour! Meet my new school room! We redid the floors to vinyl planking a few months ago, and I finally pulled out the paint we’ve had for half a year and started working. I had NO idea how much work that would be. It is a big room, and there was coloring all over the walls, staples and holes in the walls, TONS of stuff to take down (pin boards, pictures, alphabet stickers, etc. etc. ), stuff to move out of the way. The worst part though, was having to reorganize and put everything away afterwards. I am so excited to share this school room tour with you. I had taken a number of pictures to show off, but you really can’t grasp the room or its purpose with a mere picture. So…. 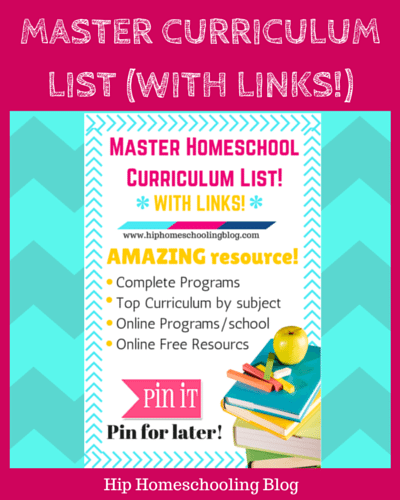 I hope you enjoyed my school room tour, make sure to check out the master curriculum list with links to help you choose your curriculum this fall! What does your school room look like? It looks great! I love the wall pockets for your MGT materials! Rebecca… As always you are in inspiration….. Great work! And if it makes a difference ‘I validate You”….. Your kids are very blessed to have a momma like you! Enjoy…….. I love seeing different homeschool setups. I hope we sell our house soon so we can finish getting ours all organized!